It seems little more than a simple emoji be needed to fuel transfer speculation on Twitter nowadays. If what followed Virgil van Dijk’s widely-discussed thought-bubble caption in the summer served as a precedent, Liverpool could be edging towards securing the signing of Naby Keita. 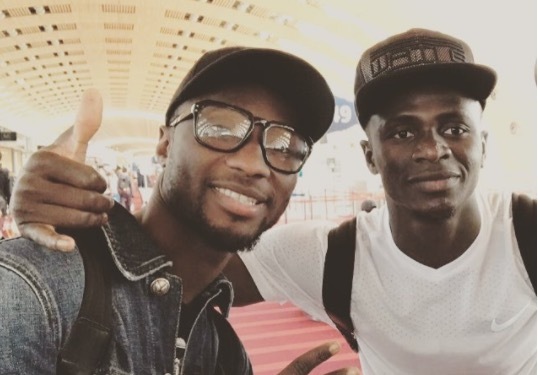 Guinean journalist Amadou Makadji has dropped a teasing hint amid speculation that Keita could arrive at Anfield in January. Last August’s agreement means the RB Leipzig midfielder isn’t scheduled to join until July 1, but Liverpool are keen to move that deal forward following the sale of Philippe Coutinho to Barcelona. Makadji has been a prominent source of information throughout the Keita saga, and was one of the first to report the initial deal prior to the current campaign. His tweet has coincided with rumours surfacing from within Leipzig that an arrangement has been made to make Keita a Liverpool player before the end of the month. Doing so looks set to cost the Reds an additional £13million on top of the summer fee- which could range between £57million and £67million depending on whether or not Leipzig qualify for the Champions League this season. If it becomes possible, it is a deal Liverpool have to make for the benefit of maintaining their top four charge and ensuring Jurgen Klopp has the options that allow him to continue with his team rotation. All eyes promise to be on how Keita addresses the fans in Leipzig’s match against Schalke this weekend. Teasing tweets, mixed rumours and post-match applause analysis. The modern-day transfer window, everyone.